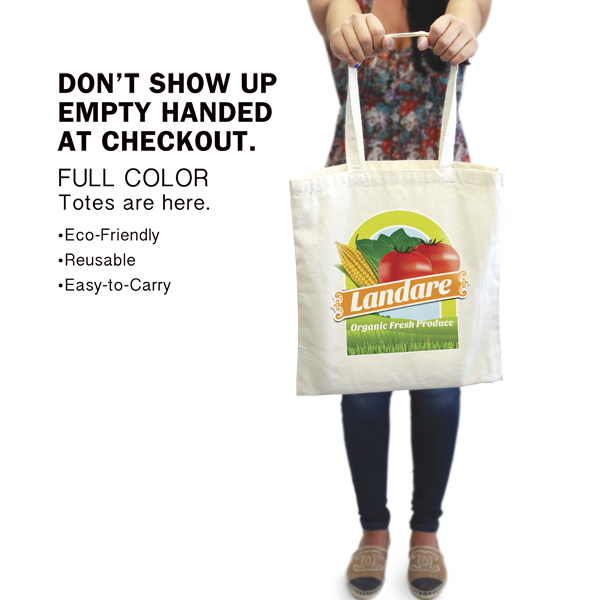 Go green with this sturdy, eco-friendly 6oz cotton-canvas Tote Bags. 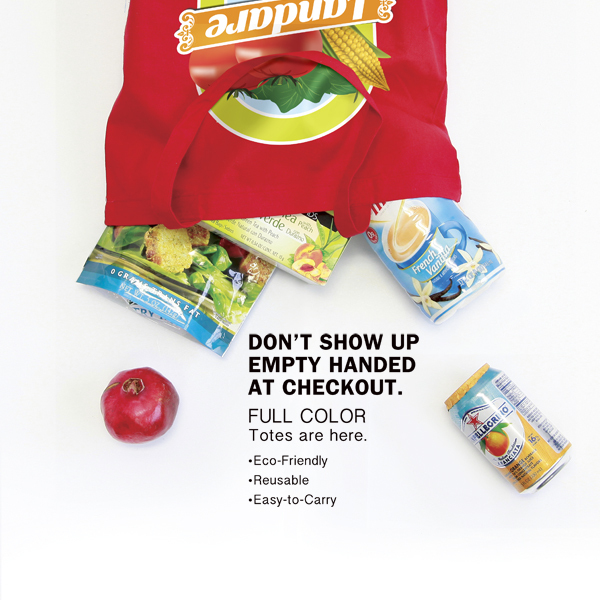 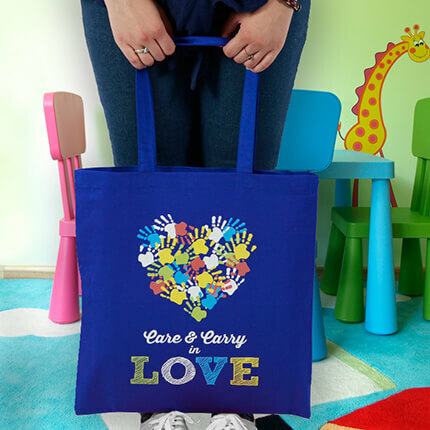 Custom Printed Tote Bags are washable, reusable and useful for anything from grocery shopping to hitting the gym. 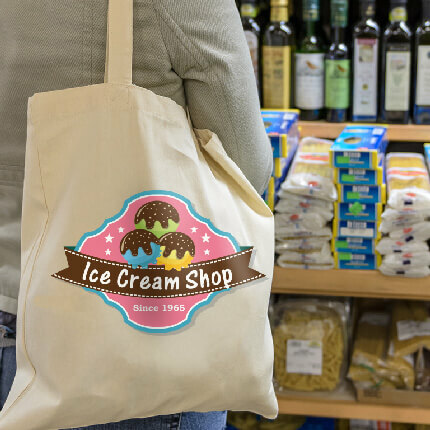 The dual self-fabric straps allow for convenient over-the-shoulder carry, and low minimums means you can conveniently upload various images.